The Chinese Lunar New Year celebration is always a colorful event in the United States, and this year was no exception. The start of the Year of the Fire Rooster brought parades in several major cities, including New York, San Francisco, Chicago and Washington D.C. Chinatowns in their respective cities were lit up with performers, music and energetic crowds celebrating the special event. The New Year holiday began on Friday, January 27, 2017, and will last several weeks. But events surrounding this important holiday, which is celebrated across Asia, can last all month and into the spring. In San Francisco, the holiday was celebrated with the Miss Chinatown USA Pageant, lion dancer visits to public libraries across the city, and a parade and street fair still to come on February 11. 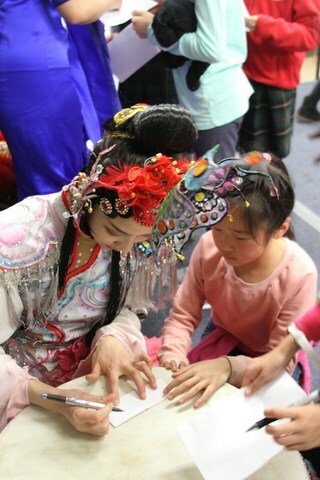 The Washington, D.C. Metro Area celebrated with a variety of free and family-friendly programming, including a Family Day at the Kennedy Center, Chinatown Lunar New Year Festival at the Chinatown Community Cultural Center, and the traditional parade and street fair featuring live music and demonstrations of traditional Chinese dance and martial arts. Montgomery County libraries hosted kids’ programming spanning hands-on crafting, puppet shows and more. In New York City, home to the world’s largest Chinatown, the Spring Festival brought street entertainment, the sixth annual New Year’s Concert by the New York Philharmonic, and a special lighting of the Empire State Building on the first night of the New Year. From a Firecracker Ceremony and cultural festival in Sara D. Roosevelt Park on January 28 through the end of the festival’s first week on February 5 — marked by the not-to-be-missed annual parade — New York lived up to its reputation of ringing in the Lunar New Year with style! The Lunar New Year is traditionally celebrated with gifts of money and the wearing of red for good luck, and Chinese families typically come together to celebrate the holiday together, eating traditional foods like dumplings or spring rolls. According to Chinese astrology, each year is associated with an animal from a rotating zodiac of 12 animals, as well as with one of five elements: gold (metal), wood, water, fire or earth. This year is the year of the Fire Rooster. The last time a Fire Rooster year was celebrated was 1957. Roosters are characterized as hardworking, active and talkative, and enjoy being the center of attention. Famous Roosters include Beyonce, Bob Marley and Steve Buscemi, who is also a Fire Rooster.